Assalaam 'alaikum or peace be with you. Established in 2010 this organisation represents the interests and concerns of Aussie women - those born here, converted to Islam, or who identify as much with Australia as their ancestral background. Support for Muslim women is often limited to cultural associations and religious classes. There are many areas though where Muslim women may need advice, assistance or mentoring. Some of the areas that we hope to address are listed in the About Us section. Contact us for information, follow us on Facebook and Instagram and check out our blog to find out what issues and events are big for Muslims in Australia and around the World. Please call or email for more details and to confirm attendance..
* How could 2 Australian boys join ISIS and commit atrocities? GET TO KNOW US !!! A great way to find out more about Islam and Muslims is to talk to us and visit a Mosque !!! 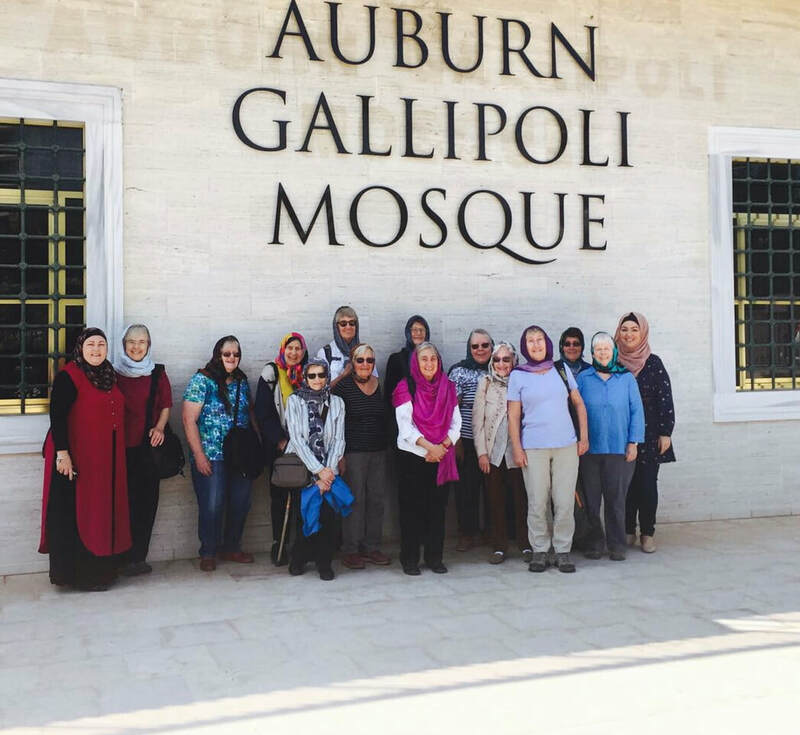 This picture is of a Sydney Ladies Walking Group who spent their monthly gathering with us on a Tour of Auburn Gallipoli Mosque followed by Lunch in a local Auburn Restaurant. It was a lovely day where many questions were answered and misconceptions were cleared up!! We will happily arrange a tour of a Mosque for you or a Group. We would love to meet you.